The story of the Samsung Galaxy F has been an ongoing saga, which by no means wants to stop. The Galaxy F was first leaked alongside the Galaxy S5 earlier this year, and was said to be a premium version of the latest Galaxy flagship. The Galaxy F smartphone will be Samsung’s answer for the customers who despise Samsung’s use of plastic in their Galaxy flagship smartphones. The Galaxy F smartphone is rumored to be the first global Galaxy device to sport metal construction, instead of regular plastic. Although, it’s good news for most, those not fan of Samsung’s ‘rounded’ design will not be pleased as the Galaxy F smartphone, according to the leaked images, sports a similar design to that of the Galaxy S5. Still, even metal construction is a biggie. The Galaxy F smartphone is rumored to boast a Qualcomm Snapdragon 805 SoC, 3gigs of Ram and 16MP OIS camera. The display will receive a significant upgrade with a QHD Super AMOLED display in tow. The so-called premium smartphone will also retain all the perks the Galaxy S5 packs including the water-resistant qualities, heart-rate sensor, and the fingerprint sensor. Although it has been leaked numerous times you might want to take this bit with a pinch of salt, but then again rumors do have a funny way of becoming true. Speaking of funny, Samsung’s love-affair with polycarbonate and imitation textures have been well documented, and we don’t mean to spoil your pie, but this could very well be a faux-aluminum panel like that on the LG G3. 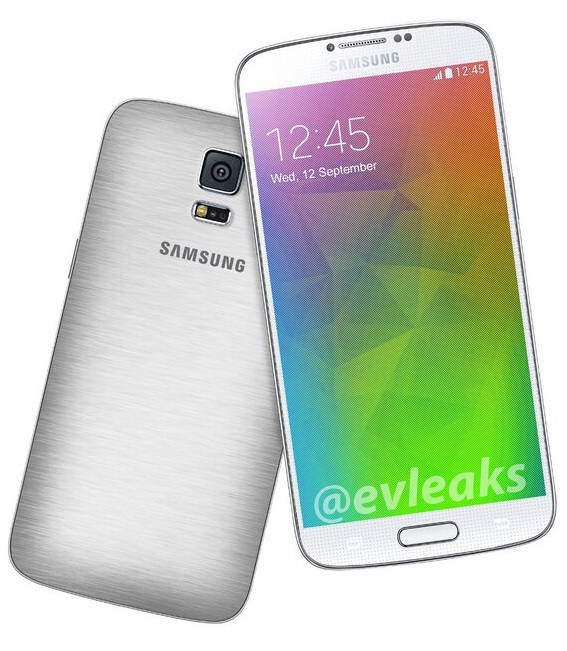 According to the source, the Galaxy F will launch in September 2014.